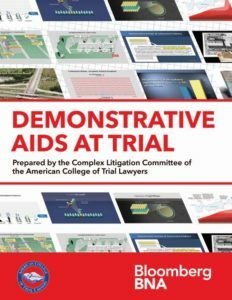 The Complex Litigation Committee has published a new book, Demonstrative Aids at Trial. The book is available through the Bloomberg BNA website. Click here to read more. In Memory of William “Bill” R. Jones, Jr.